Dennis Dechaine was convicted of killing 12-year-old Sarah Cherry of Bowdoin in 1988 and sentenced to life in prison. He maintains his innocence. PORTLAND — An attorney working on behalf of a Maine man convicted of killing a 12-year-old girl in 1988 says new DNA testing on evidence in the case points to an alternative suspect. 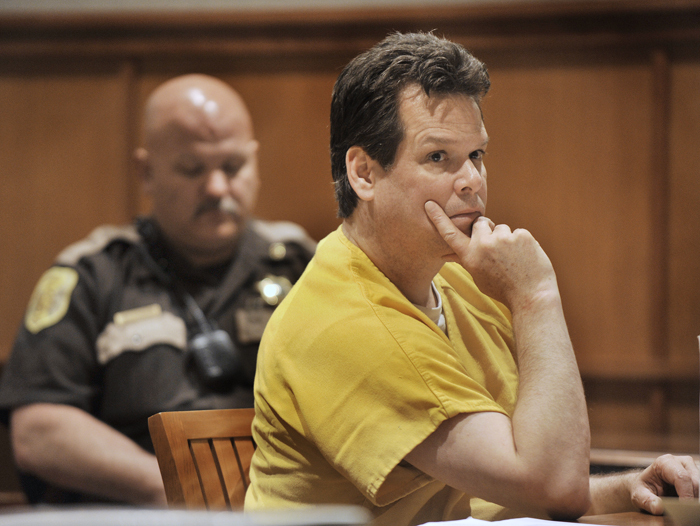 Rockport-based attorney Steven Peterson told the Bangor Daily News on Thursday that a court order prevents him from identifying who the new DNA is from, but that it represents a major breakthrough for Dennis Dechaine. Dechaine was convicted of killing 12-year-old Sarah Cherry of Bowdoin in 1988 and sentenced to life in prison. He maintains his innocence. Peterson says using new technology, DNA that does not belong to Dechaine was found on the girl’s clothing. Peterson says he is awaiting further analysis and likely will request a court conference to determine whether a new trial is warranted.